22 BS Tourism, HRM and Hospitality Management students from Mariners’ Polytechnic Colleges Naga City campus are now in the United States of America for the season 2014 of theW and Travel Program. 9 are assigned in Alabama, 6 in Viriginia, 4 in North Carolina and 1 each in South Carolina, Michigan and Florida. These students will undergo international on the job training in themed parks and hotels in USA. Anne Therese B. Gerentola, 22 years old, third year BSHRM student and a resident of Calabanga Camarines sur is the only PWD (deaf) participant who was granted J-1 Visa on March 10, 2014. Gerentola is expected by her employer to arrive in Michigan on March 19, 2014 and will end on June 2014 as part of the Work and Travel Program of Mariners’ Polytechnic Colleges in the United States of America. (Left picture) The newly re-elected Supreme Student Council President Esperanza Francisco with MPC President Dr. Mailissa J. Ampuan. (Right picture) - Volunteers and members of the faculty manned and supervised the voting centers on election day to select the new officers of the Central Student Council of Mariners-Naga. HR Chief Maria Hazel Palacio (standing, extreme right) headed the group of school representatives who managed the orderly manner of the activity. At the back are student-voters, in the act of exercising their right. Naga City – Students of Mariners Polytechnic Colleges (MPC), this city have gone to the polls to elect a new set of officers. The exercise was conducted on March 7, 2014 at the school campus where students were afforded the opportunity to select from among the aspirants as to who should lead the Supreme Student Council (SSC) for academic year 2014-2015. “The process was orderly and the voters had common consensus as to who should lead them in the coming academic year. A proof to the accord of the students had been manifested when incumbent CSC President Esperanza Francisco ran unopposed with no other aspirant filing a certificate of candidacy for the presidency”, commented HR Head Hazel Palacio who was one of the overseer of the exercise. Among those elected as new officers are: Esperanza Francisco – President, Roxanne Abarientos – Vice President for Internal Affairs, Arvin Perilla – Vice President for External Affairs, Donna Laure – Secretary, Cleorata Kaye Naag – Treasurer, Antonette Borja – Auditor, Jonathan Boaloy – Public Information Officer, Kevin Toral and Nicolo Luzada – Business Managers, Dave Lustre as 2nd Year Representative, Rhodeline Avila as 3rd Year Representative and Mark Leland Samson as 4th Year Representative. Volunteers who manned precinct 1 (right side in yellow-blue shirts) and the student-voters (left - in school uniform) who exercised their right on election day. It has been a tradition at the school to hold an annual election of officers for the student government with the undergraduates freely exercising their right to vote. Included in the responsibility of the council officers is to look after the welfare of the students and to serve as liaison with the school administration. In the past years, SSC was able to connect the students to the leadership of the institution effectively thereby arriving at a harmonious relationship which has proven to be beneficial to both parties. Through the years, the administration and student organization have been partners in pushing for the well-being of the enrollees with the former continuing its effort for the latter even after they have finished their courses. Mariners Polytechnic Colleges (MPC) Naga prides itself with the newly-constructed laboratory hotel used by students taking-up HRM, Business and Tourism-related courses which help in boosting local hotel and restaurant businesses as it enhances job opportunities abroad for the graduates. 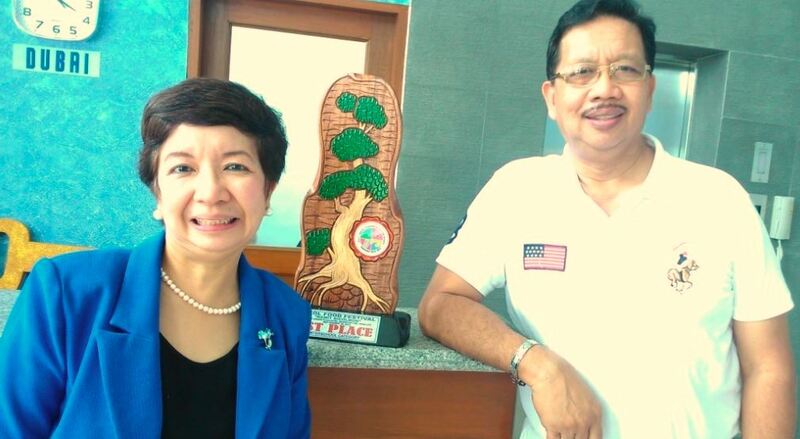 (Left) President Dr. Marilissa J. Ampuan with EVP Dr. Gabriel L. Jimenez at the lobby of Mariners Training and Hotel Institute (MTHI). Naga City – The Metro Naga Chamber of Commerce and Industry (MNCCI) held a business forum at Villa Caceres Hotel this city on March 1, 2014 on the occasion of its first quarterly General Membership Meeting the Induction of New Officers and Members for the year 2014. Attended by local business owners and executives, Mariners Polytechnic Colleges (MPC) Naga Executive Assistant Eliezer Alipante represented the school’s President Dr. Marilissa J. Ampuan in the event. During the affair, MNCCI passed on good wishes for Mariners System on the occasion of its Ruby Anniversary. Naga City Mayor John Bongat, who was one of the speakers likewise aired his congratulatory message to the Institution which he included in his address. The business organization now headed by its new President Nicolas Beda Priela, a former Bicol Governor for the Philippine Chamber of Commerce and Industry (PCCI), acknowledged the role which MPC/F play. “Mariners continues to give distinctive opportunities to families in Bicol thru the maritime education it offers. With its presence in the region, many of our youth are given the chance to uplift the living condition of their respective families with quality maritime education now offered and taken-up here. Students do not have to go to Metro Manila and other far- away places to study. Allow me to extend my best wishes to Mariners for its contribution to local business; after 40 years, many of its graduates are noted to have become entrepreneurs after they retire as seafarers”, said MNCCI President Priela. 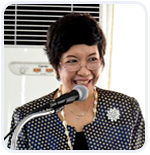 Aside from Vice President for Chamber Management Elmer Abad, other officers in the organization include VP for Special Projects Alfredo Perdon who is Managing Director of GNN TV 48, the Board of Directors which include Bicol Mail’s Editor-in-Chief Jose Perez, ABS-CBN’s Regional Manager Amy Garcia-Villafuerte, Naga College Foundation’s President Michelle V. Padua-Hornby and Jack Hernandez of the University of Nueva Caceres, among others. With business courses being part of the curricula-offering of the school, the Mariners System preserves its ties with the Chamber, cognizant of the importance of the linkages which have to be maintained with other local business institutions. During the business forum, a PCCI official who was guest speaker and Inducting Officer at the event informed the Chamber members on the latest trends in business especially in the South Luzon-Bicol areas.